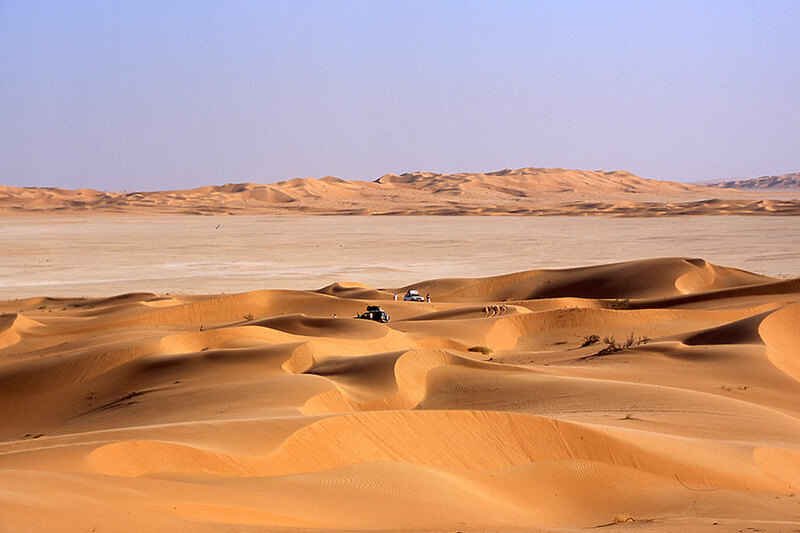 The classic tour to experience the charm of the great desert. 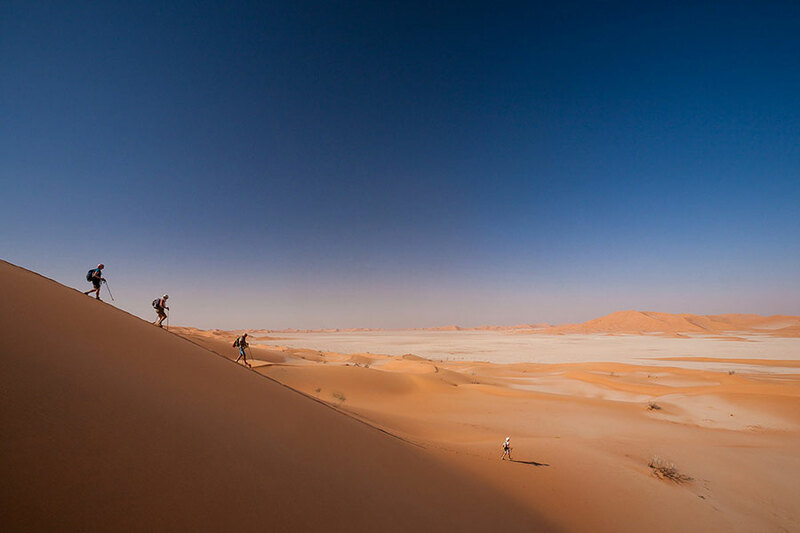 An itinerary of eleven days to live the uncontaminated charm of the Omani nature and the great “empty quarter” of the Muslim tradition: the Rub Al Khali, the second largest desert of sand in the world, still largely unexplored, whose very high dunes with yellow shades, red and ocher guard ancient mysteries in a thousand-year silence. Departure from Italy to Muscat, transfer to hotel and overnight. 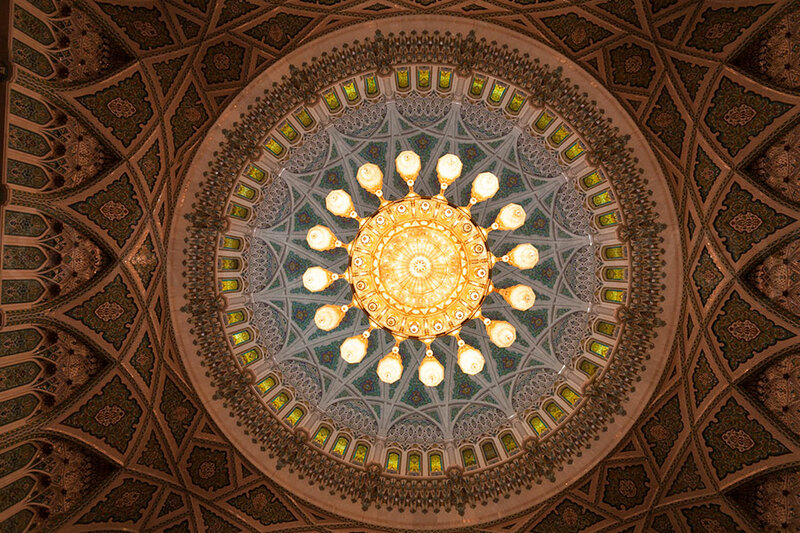 After breakfast, visit of the Great Mosque desired by the Sultan Qaboos, a beautiful example of modern Islamic architecture: impressive the prayer hall for the rich decorations, the dome, the 4,200 sqm Persian carpet and the crystal chandelier. After the visit, the journey will start with 4WD vehicles drive, crossing the Hajar mountains, leading to Nizwa and continuing to Salalah. During the trip lunch the way in a restaurant. 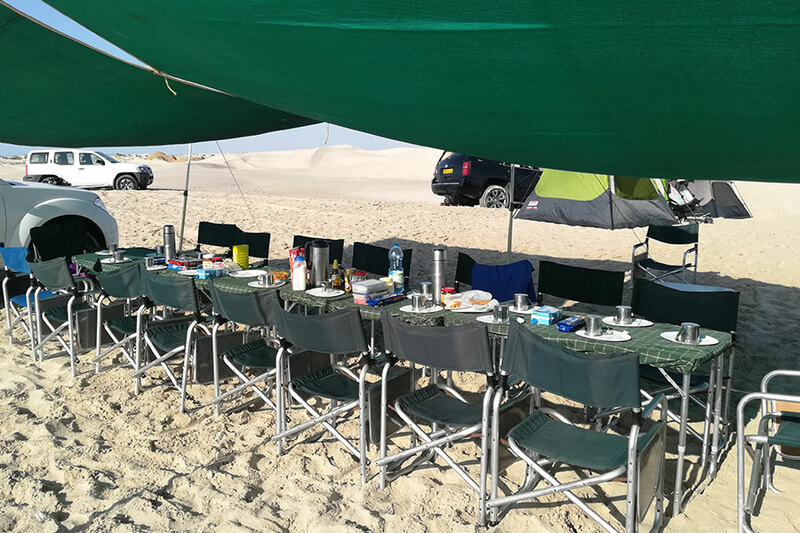 In the evening, near Hayma, we will leave the road and go into the desert for about ten kilometers until we meet the first dunes; here we will set up camp for the night. We will leave the road and start the Rub Al Khali desert. 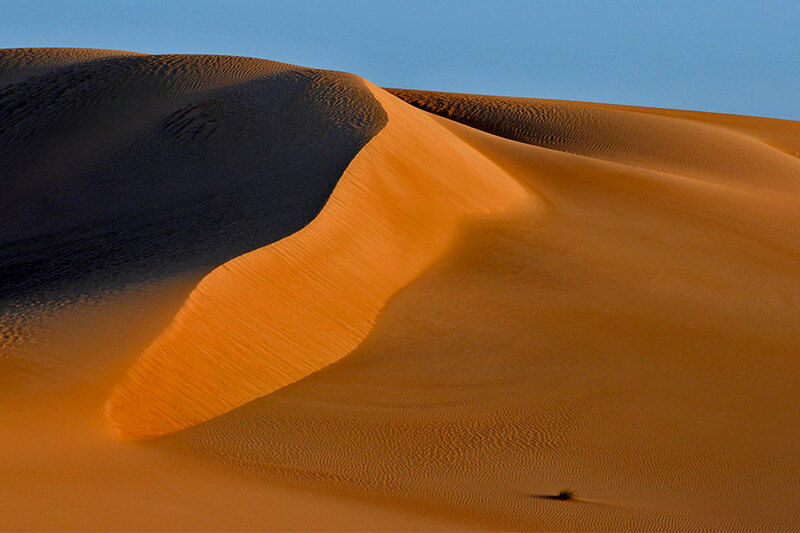 As you go ahead, the desert changes in a crescendo of emotions. The small, clear dunes dotted with trees and shrubs become ever higher and more spectacular, while the sand darkens in a range of ever-changing reds. Large white, chalky plains, memories of ancient seas divide the long ridges of dunes on which we will climb with the cars looking for passages that will test vehicles and people but that will give unforgettable memories. Picnic lunches. Dinners and nights in the camp. 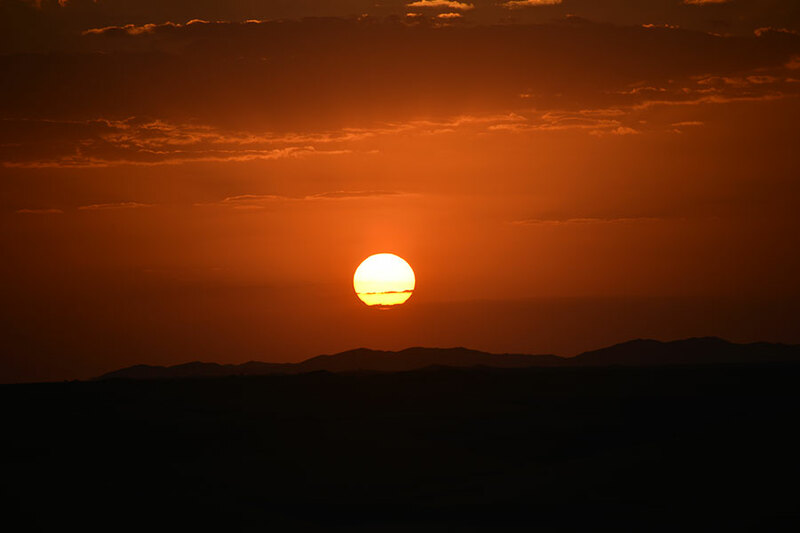 We will leave the desert and, and in the early afternoon, we will reach the archaeological site of Ubar (today Shisr), the Atlantis of the desert, only recently discovered and, in antiquity, an important point of passage for the caravan routes. Afterwards, stop at Wadi Dawka where, nowadays, you can see the incense trees that have made the Dhofar region famous. Lunch in a restaurant. Dinner and overnight in the hotel. After breakfast we will head east through Salalah, where residential areas and plantations form a unique city giving a very special atmosphere. We will reach the beach of Taqa, where it is possible to see dolphins and turtles swimming near the beach. We will arrive at the famous archeological site of Khor Rori, or Sumhurum, where it is said that the queen of Saba also passed; the ancient city, brought to light by an Italian archaeological expedition, was known to the Romans under the name of Abyssopolis and testifies the importance of this area on the route that unites India and the East with Africa and Europe . Back to Salalah for lunch in a restaurant and, in the afternoon, visit the archaeological site of Al Baleed and the attached the Incense Museum. 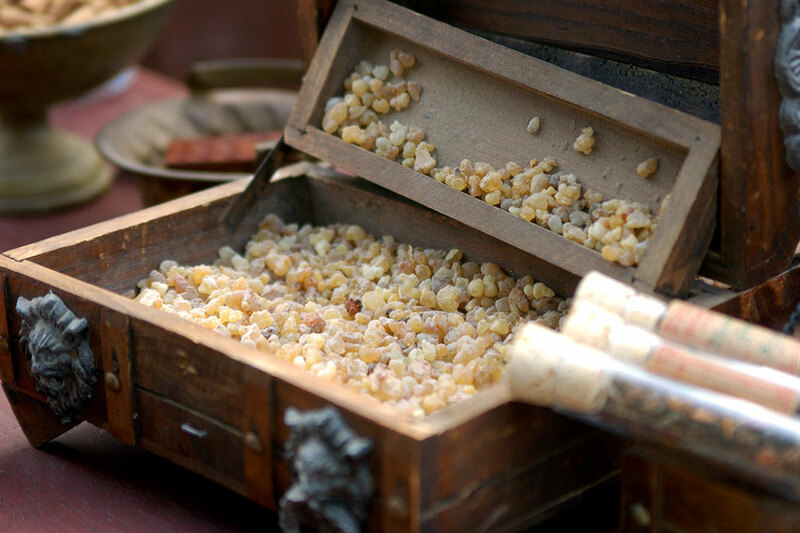 We will go to the nearby suq, where we will immerse ourselves in the incense aromas and the colors of the fabrics. Back to hotel, dinner and overnight. In the morning we will go back to the souq to see the market of the Balushi, the inhabitants of the mountains, ancient and proud people who, for the support offered to the Sultan when he took power, received honors and gratitude. Every morning the balushi meet in the suq to sell what they have: guns, knives and local handicrafts. Following, a brief visit of the fish suq, where we will also buy the food for our dinner. 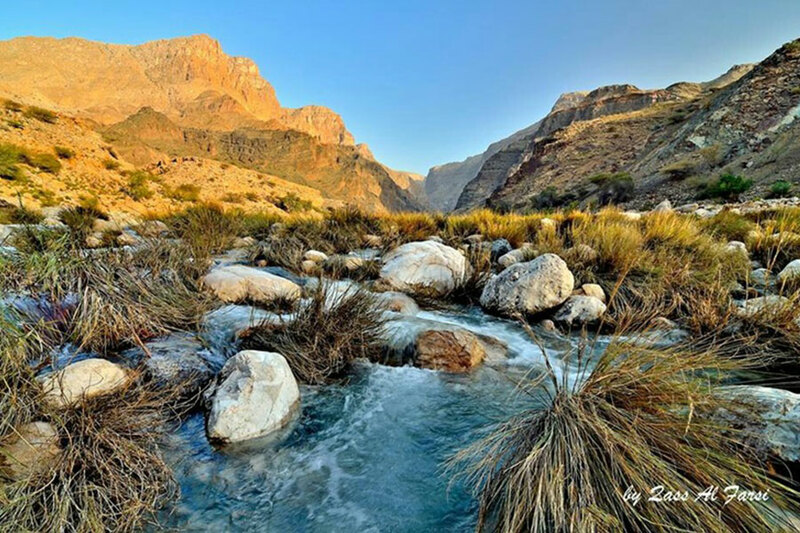 We will drive to the beautiful Wadi Darbat which, during the Khareef season, turns into a valley full of water and waterfalls that create a fairytale landscape. We will continue to the Jebel Samham, a mountain range crossed by deep wadi. From here we will begin the descent into Wadi Salafan. Going down, the track becomes less clear, until you get lost at the bottom of the wadi in a contrast of spectacular shapes and colors. 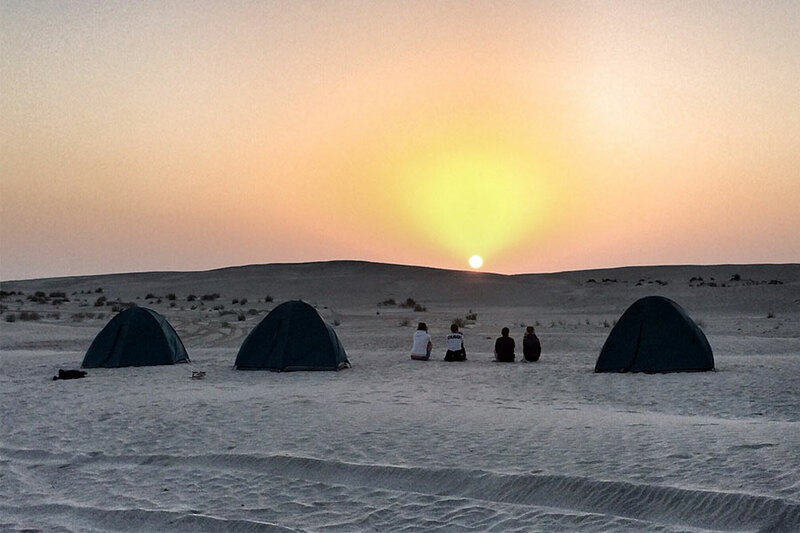 Camp and overnight in the wadi. In the morning gradually we exit the sinuous wadi until we will find a plain where the acacias grow, bringing mind back to the past and to fabulous places. We will head up to Shuwamiyah, towards the coast, characterized by limestone cliffs in colors ranging from white to yellow. Camp and overnight in a canyon on the coast. Leaving Shuwamiyah we will head back to Salalah along a beautiful newly built coastal road. Along the way we will stop at Mirbat, a quaint fishing village where we will visit the castle and have lunch at a local restaurant. In the afternoon, arrival in Salalah. Transfer to the airport for return flight to Muscat, where you will take the flight connection to Italy. Transfer to the airport for morning flight Muscat - Khasab, reception at the airport upon arrival and transfer to the hotel. As an alternative to the flight, possibility of land transfer. Free lunch. In the early afternoon, departure with off-road vehicles for the Jebel Harim, the chain of rugged mountains of limestone origin that occupies the entire continental area of ​​the Musandam peninsula. We will rise to over 1,100 meters in height, in an area inhabited by the Shihuh tribe, which is supposed to have migrated from Yemen many hundreds of years ago: small settlements of stone houses, some flocks of goats and isolated tufts of palm trees characterize the environment . The mountains are rich in fossils and prehistoric rock engravings to witness ancient human settlements. But what is most striking are the incredible views that suddenly appear in wild valleys that are lost towards the blue sea. At the end of the afternoon return to Khasab. After breakfast, transfer from the hotel to the port of Khasab. Day dedicated to visiting the Musandam fjords on board a dhow, a typical boat of the Arabian peninsula. We will have the opportunity to admire beautiful natural scenery, swim and snorkel. Return in the afternoon, dinner and overnight at the hotel. After breakfast, transfer to the airport for Khasab - Muscat flight. Although Al Koor Tourism is committed to ensuring maximum customer satisfaction, it may not be possible to provide part or all of the services listed in case of events or circumstances beyond our control (ex: adverse weather conditions, natural hazards, causes of force majeure etc.). Deviations and changes to the original program could also be requested in the event of road breaks. Koor Tourism can not be held responsible in any way for any material or economic damage, or any request by the customer for non-service due to events and circumstances described above. 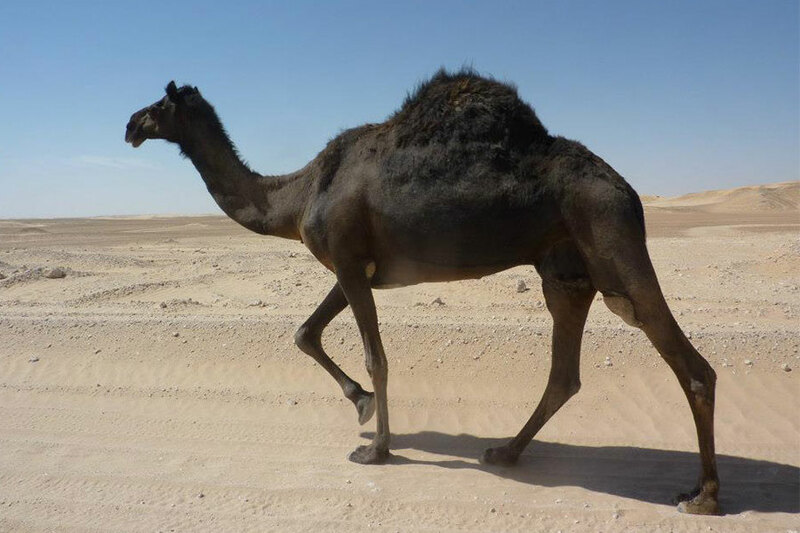 In Al Koor Tourism you will find the love for the desert, for the nature and for the Arab culture. You will discover the most fascinating places of Oman combining spirit of adventure and exclusive comfort.